The Babe Ruth League program is rich in history, traditions and values with a classic, enduring quality that is hard to match. From the playing field to life, baseball and softball have taught our participants many valuable life lessons. 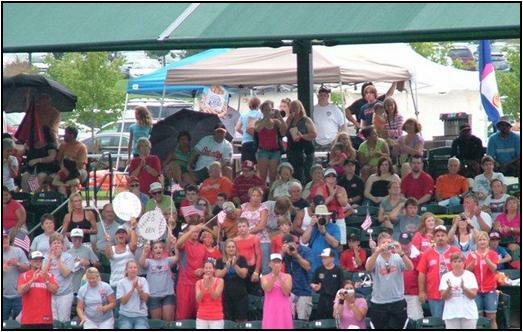 Babe Ruth League hosts several events that offer active members and alumni opportunitites to stay connected to the program and to each other. Each year, the main focus in any sport is the race for the championship. None is as coveted as Major League Baseball's World Series. As many Babe Ruth World Series attendees will attest, the Babe Ruth League World Series are as electrifying and as rich in history as MLB's Fall Classic. For further information on the 2019 Babe Ruth League World Series, please call 609-695-1434. College costs are a major challenge for most families. Babe Ruth League is proud of its commitment to provide financial assistance to former Babe Ruth baseball and softball players via the Babe Ruth League Scholarship Fund. In addition to the generosity of alumni and friends of the program, funds are also raised for the scholarship fund from the Annual Babe Ruth League Alumni Scholarship Golf Outing. Held annually on the first Friday of each June, many individuals are proud to gather at the Gambler's Ridge Golf Course in Cream Ridge, New Jersey, to "swing for scholarships" while participating in the BRL Scholarship Golf Tournament. For further information on the 2019 BRL Annual Scholarship Golf Outing, please call 609-695-1434. For questions or comments or to share an event suggestion, please email theresa@baberuthleague.org. Article Text and/or artwork to include with event announcement. Your first and last name, address, telephone numbers and email. Hamilton, NJ 08619 The Babe Ruth League, Inc. Alumni Association is a committee formed under Babe Ruth League, Inc. The Alumni Association's Mission is to put kids first by advancing the general welfare of the Babe Ruth League, Inc. program. Babe Ruth League, Inc. is a 501(c)(3) Organization. The Babe Ruth Alumni Association Advisory Board makes recommendations to the Babe Ruth League, Inc. Board of Directors.